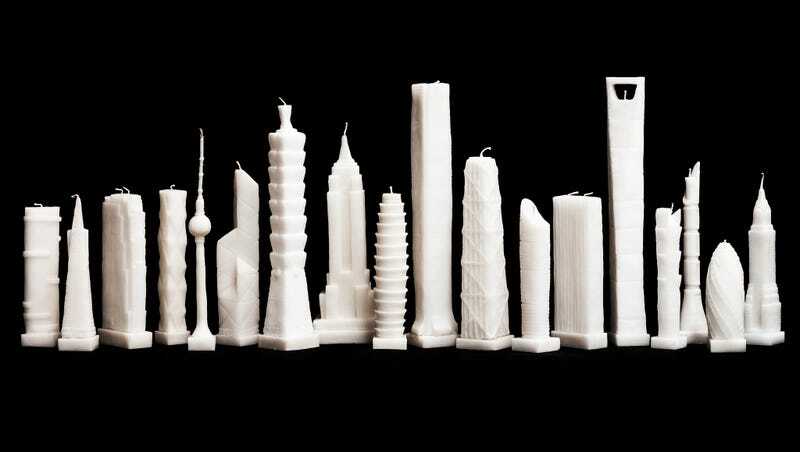 The 32-year-old designer, who's worked with Ai Weiwei and at OMA, debuted the candles at Beijing Design Week last year. Now, they're for sale online at Bundshop, where you can choose from towers like the second tallest building in the world—the Shanghai World Financial Center—and Taipei 101, another long-time record-holder. I'm tired of modernity. I like watching these buildings burn and melt into artistic pieces. I light these for fun, I think I've burnt 20 sets just myself.